The band has an interesting and unique history, both in different musicians and concerts dating back as early as its formation in 1894. 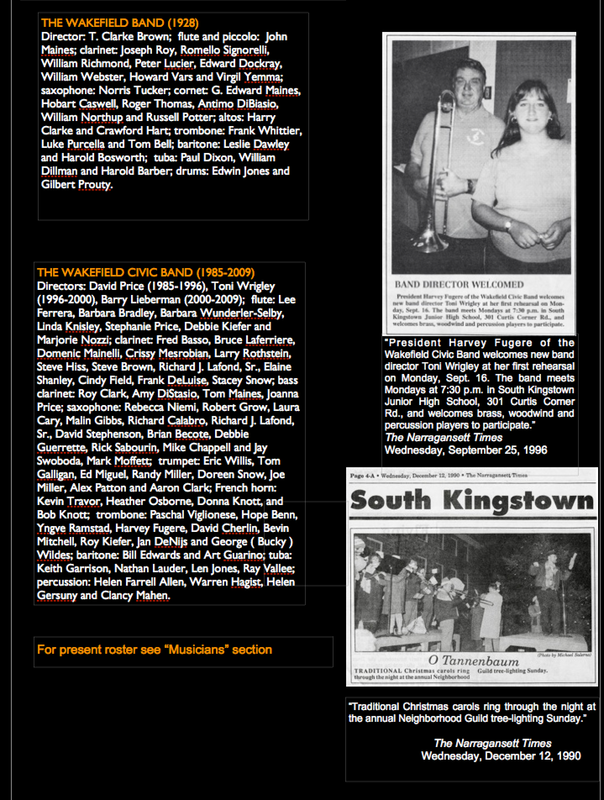 Below you will see conductors of the past and articles appearing in several sources reporting on the band's activity throughout the past. We are a dedicated group of professional and serious amateur musicians from high school age through enthusiastic senior citizens who love to make beautiful music. 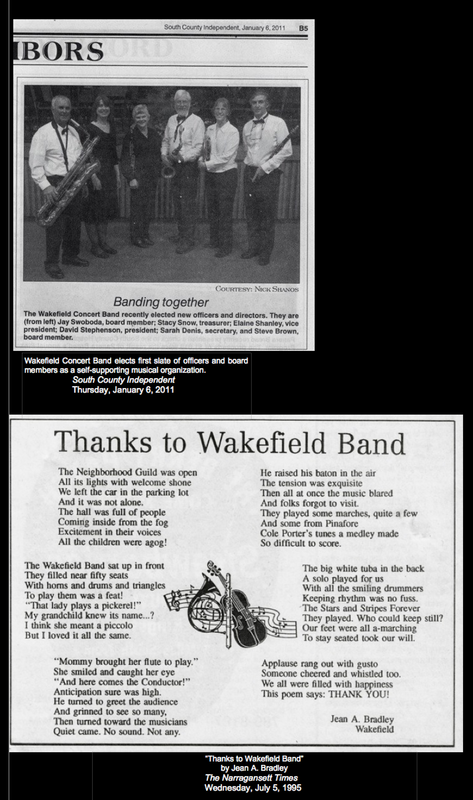 The Wakefield Concert Band has evolved in countless ways throughout its more than 100 year history. Today's band members, 75 in all, are professional players and serious amateurs. We provide a place for community musicians to develop their skills, have fun, entertain an ever growing audience, and raise money for charity. Each musician devotes at least 150 hours yearly to the band. From classical music to swing tunes, to traditional marches, the Wakefield Concert Band's repertoire has grown to include works from Beethoven, Irving Berlin, Holst, Harry James, Shostakovich, John Philip Sousa and many more.